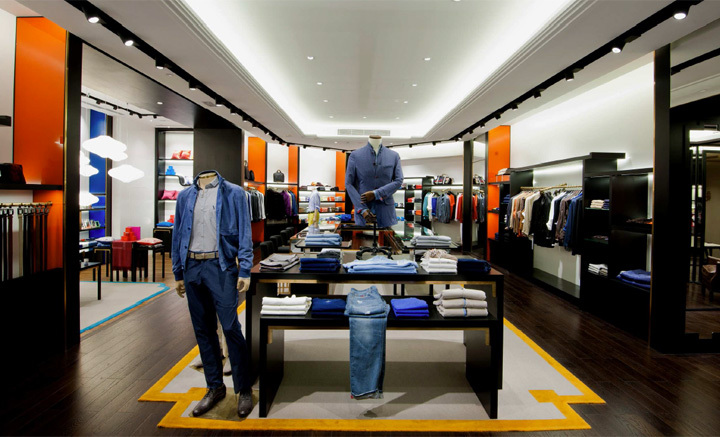 A flagship fashion boutique that fues classic design with contemporary detailing. 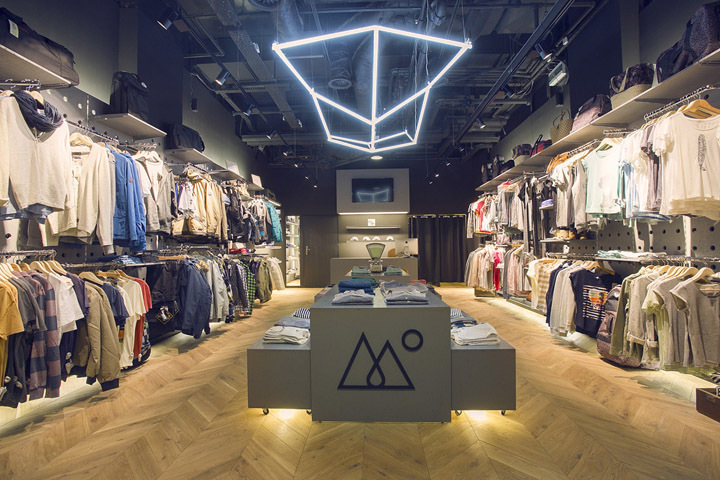 Architects and interior designers PMDL Architecture + Design have recently completed a new 450 sqm flagship store for fashion brand V Grass in Nanjing, China. 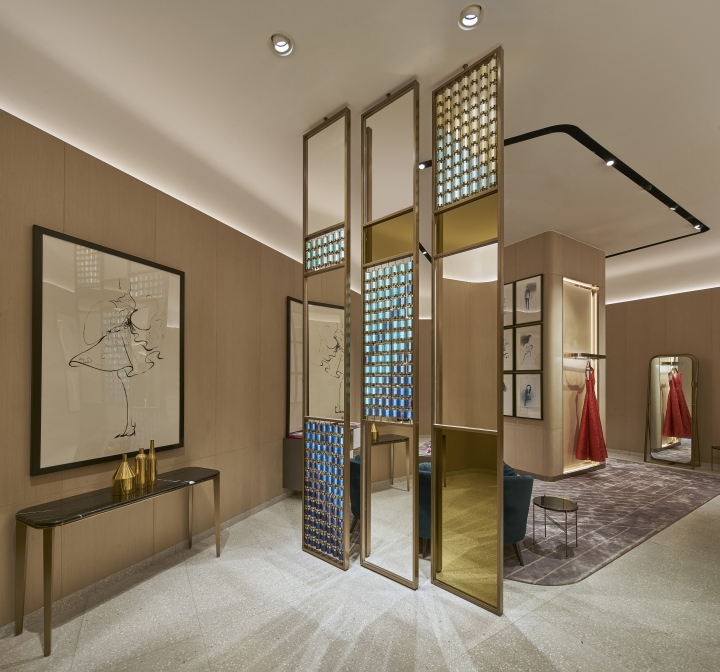 Working closely with the client, the PMDL design team developed a scheme inspired by the materiality and grandeur of the Italian palazzo, and the geometrical composition of classical European architecture. 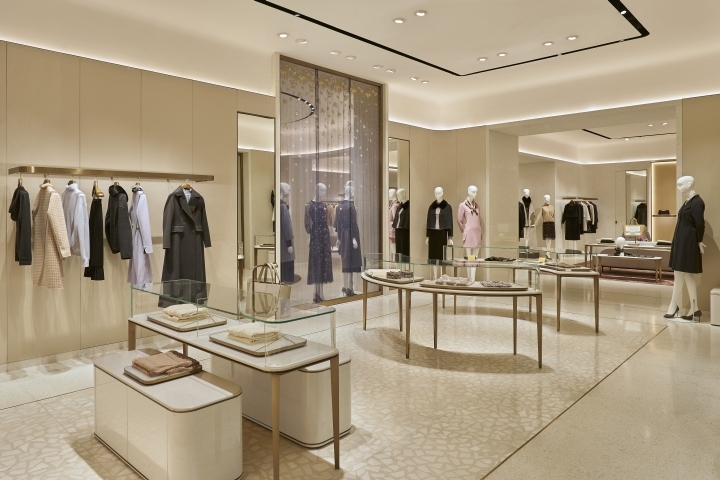 The retail floor consists of four spaces, lined in rich silks and white terrazzo, linked axially with grand terrazzo portals. 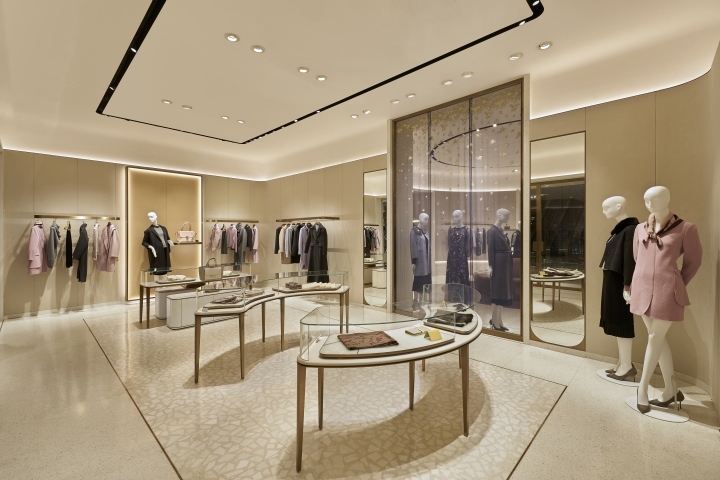 A monolithic terrazzo floor flows through the four retail areas, with luxurious inset bamboo silk carpets in the generous seating areas. The spatial sequence culminates in a 6.5m diameter rotunda. 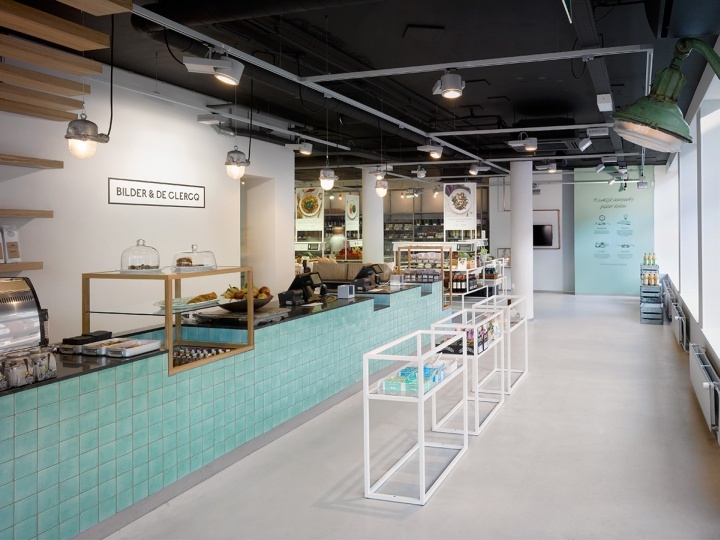 This is the first V Grass store to incorporate a VIP lounge, which will cater to VIP customers and offer a venue for private receptions and events. 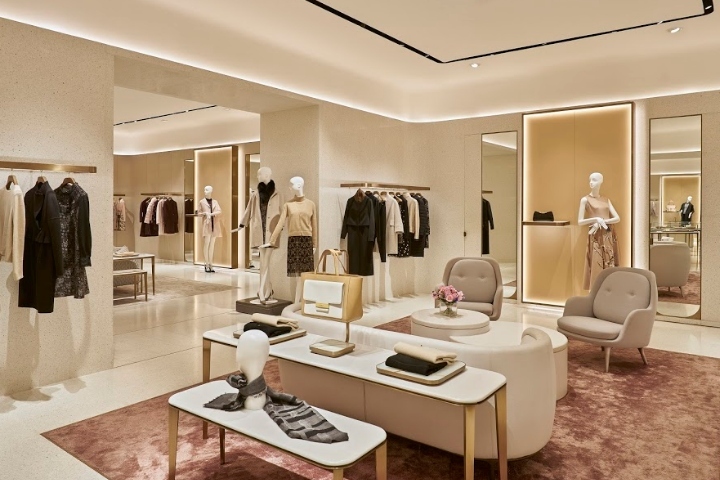 The lounge uses a similar materials palette to the retail store, with a darker, more glamorous tone. 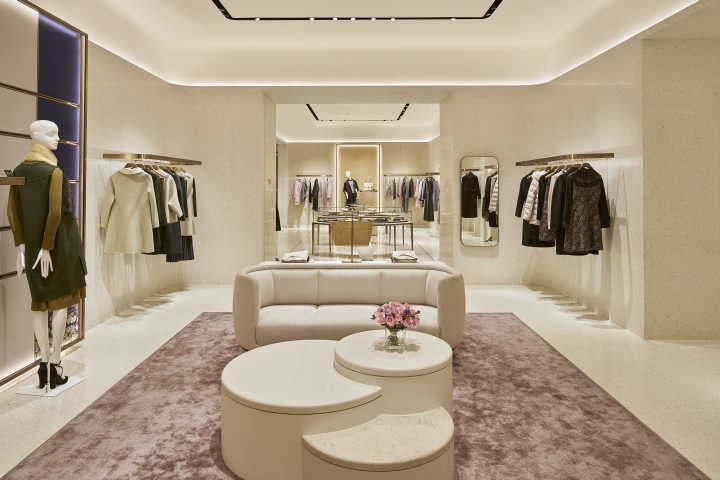 Floored in warm grey terrazzo, the walls are a lime washed engineered ash veneer. 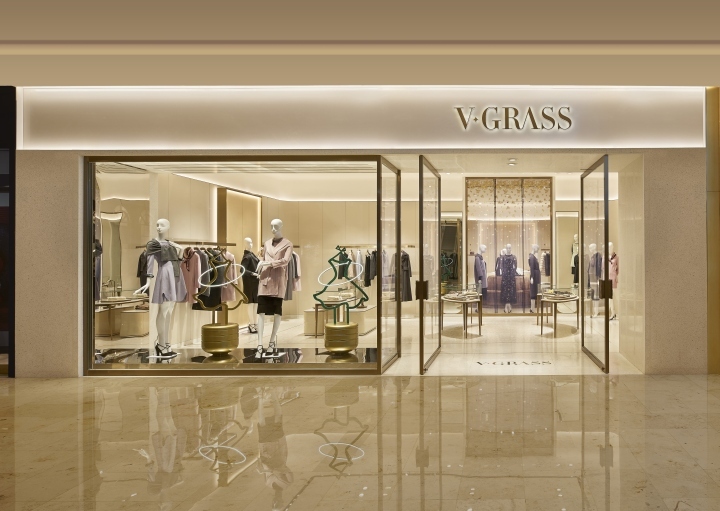 Original artworks inspired by the V Grass couture range line the space, which is envisaged as an immersive brand showcase. 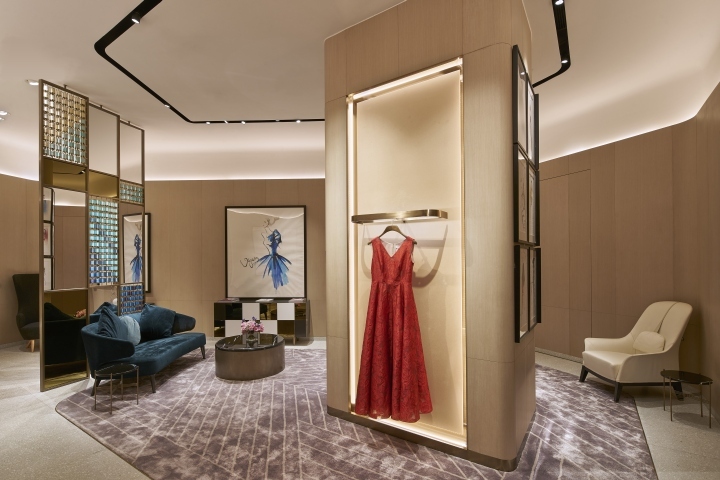 V Grass Nanjing Deji Plaza draws inspiration from the geometric composition of classical architecture and the sharp detailing of contemporary design to create a retail space that is elegant and timeless. 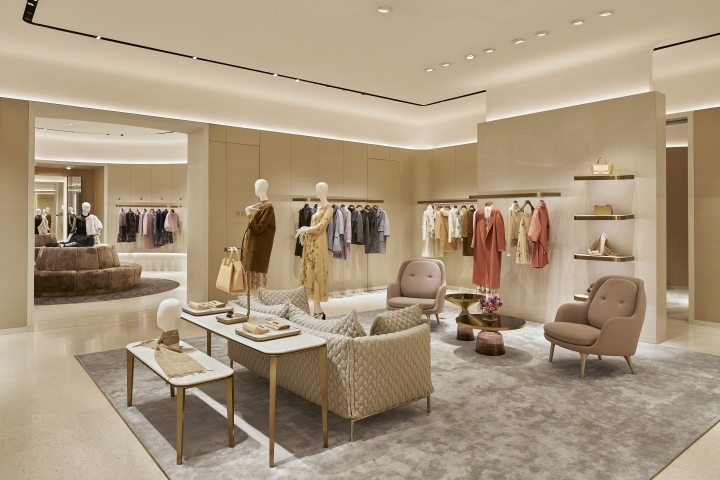 Conceived as the welcoming residence of a gracious host, the store offers a journey into the brand, commencing with a hard-paved foyer, leading through a rich drawing room, into a grand salon and culminating in a magnificent rotunda.